Evolving Pokemon in Pokemon Quest, cooking recipes, best Pokemon in Pokemon Quest, and more. Pokemon Quest tasks players with building a team of block-shaped pokemon, and leading them through a series of expedtions. There's decorating, move training and evolutions to contend with, as you slowly get closer and closer to solving the mystery of Tumblecube Island. There's a lot to take in early on, so we put together this Pokemon Quest guide to help you out. You'll find Pokemon Quest tips and tricks, a look at every recipe in the game, and more. Read on for info on the complete Pokemon Quest Pokemon List, and how to beat Mewtwo in Pokemon Quest. Of course, this isn’t the only Pokemon game coming to Nintendo Switch this year. It was announced alongside Pokemon Let’s Go Pikachu and Eevee, which are set to launch later on in 2018. Head over to our Pokemon Let’s Go Pikachu and Eevee Guides hub to get all of the details on the new game, from release date, which pokemon are included, and everything else you need to know. Despite being a Pokemon action RPG, Pokemon Quest is a very different beast to any of the mainline Pokemon games we’ve had so far. With that in mind, you’re going to want to leave much of what you’ve learned playing the series up to this point, as everything from stats and attacks to type-effects function differently here. 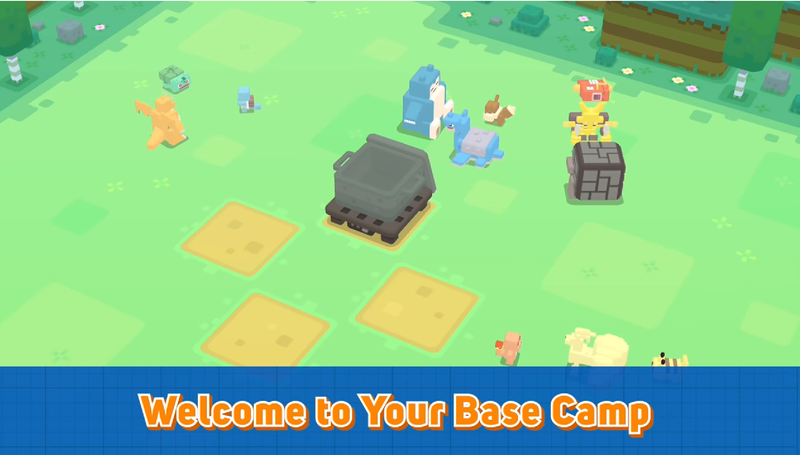 There’s a whole new battle system, cooking feature and levelling system to contend with in Pokemon Quest, so here are some tips and tricks to get you started in Pokemon Quest. Choose your starter Pokemon wisely - At the start of Pokemon Quest you’ll be asked to choose your starter pokemon out of Charmander, Squirtle, Bulbasaur, Pikachu and Eevee. Elemental strengths and weaknesses don’t work the same in Pokemon Quest, so instead go for a pokemon that has different attributes to those you’ll be able to catch easily, Charmander is a good choice for this. Complete daily quests and challenges - In order to make progress quickly in Pokemon Quest, you’ll need PM Tickets, the game’s form of currency. Check the challenges and quest hub in the menu to see which ones you can complete easily. PM Tickets are key to leveling up your team faster. Remember to collect rewards - Following on from the last tip, make sure you collect rewards from the challenges you do complete. You can do this by checking for an exclamation mark icon next to the quest menu. Sign-in every day - Even if you’re not planning to play every day, you should at least boot up the game and collect the rewards. It will all build up and seriously help you in the long-run. Remember to equip Power Stones - As your Pokemon level up they’ll be able to hold more Power Stones which in turn grant special stat boosts. Make use of these boosts as they will aid you in battle and help your team grow faster. Pokemon Quest PM Tickets Guide- How to Get Free PM Tickets Fast, How Much do PM Tickets Cost? Pokemon Quest is being billed as “free-to-start”, meaning that it won’t cost you anything to download initially. There are however, plenty of microtransactions present in the game. These are mostly used for cosmetic items like decorations which you can add to your base camp. The in-game currency is called PM Tickets, which you can earn naturally while playing the game. They can be used to cut corners too, as you can spend PM Tickets on filling up a HP gauge or finishing a cooking item faster. Pokemon Quest might have been available first on the Nintendo Switch, but it's now just released on iOS and Android, as of June 27. You can hit up either of the links just below, to be taken to the corresponding storefront, where you can download Pokemon Quest onto your smartphone. 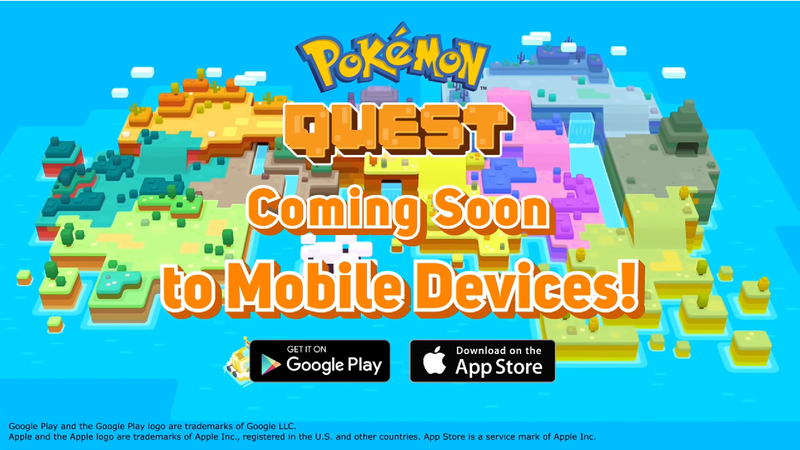 Pokemon Quest released shortly after it was announced so is available to download now. You just need to head onto the Nintendo Switch eShop and you’ll find the game to download. If Pokemon Quest is not appearing on Nintendo Switch eShop, then use the search bar to search “Pokemon Quest”. Make sure you type it out in full, as some players have been reporting that the game is not showing up on the eShop under a “Pokemon” search. Pokemon Quest Multiplayer - Can you Battle Other Players, is There PVP? Currently, Pokemon Quest is a single-player only experience. There is no PvP implimentation, and no way to battle other players. Unfortunately there is currently no word on whether multiplayer will be added into the game, so stay tuned for any updates we get. That’s everything you need to know about Pokemon Quest. We’ll be adding more to this guide as we get spend more time with the game so stay tuned for more details.